Everyone needs to buy food on a weekly or fortnightly basis. What is surprising is that most people tend to just visit the supermarket, fill their shopping cart and basically throw money at the cashier without thinking about how they can actually save some cash while there. Fortunately, there are a few ways in which you can reduce your expenses while still buying good quality household items. As you can see, there are so many ways to lower your costs without you even setting foot into the supermarket. One more useful technique is to budget using online software. The MoneyVista website is a good idea as you can find out how much you have available for your groceries while still keeping enough left over for your financial goals. In this way, you can buy the necessary household goods without putting your monetary stability at risk. Even armed with the above strategies, there is still more that you can do to save money at the supermarket. First, only buy what you need. Follow the lists that you have made and try not to be swayed into purchasing more than you require because of a sale or promotion. 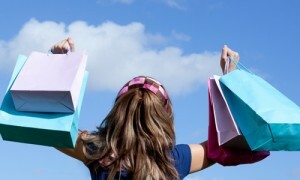 Don’t linger around either as this can increase the chances of you making an impulse buy. Instead, get in there, grab what you need, and then head to the checkout as soon as you can. There is also the question of brand name products versus generic items. Typically, each store will have their own budget version of their stock, from soft drinks and cereal to toilet paper and washing powder. At least try out the generic names first to see whether they are of comparable quality to the big brands. In many cases, you can still enjoy some excellent tastes and long-lasting products even though you are purchasing generic brands. The easiest way to work out whether one brand is more affordable than another is to check the unit price. Sometimes, this is listed on the price tag. Other times, you will need a calculator or your smart phone to work it out. In both cases, the added effort of comparing prices will tell you whether one size of bag is more cost effective than another. If you are buying on a sale or using a coupon, remember to take this into account as well when doing the calculations. Of course, there are many more ways in which you can save money on your groceries. Just be creative and be smart when figuring out what you are going to do to reduce your expenses when at the supermarket. With a bit of innovation, you can cut down your costs quite remarkably in the future. MoneyVista is the latest addition to the Royal London Group. It gives you the tools people need to create a suitable financial plan for their situation.